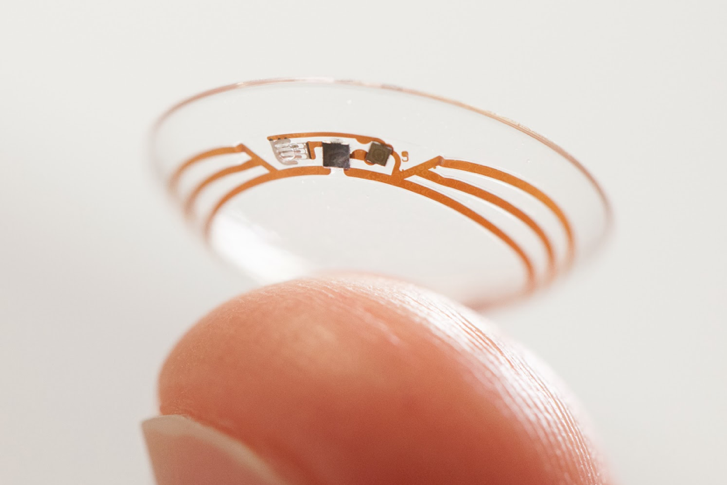 Google’s health arm Verily/Alcon has announced that its project to develop a glucose-sensing contact lens has been put on hold. In disappointing news, Verily has decided to stop actively working on a project to develop a glucose-sensing contact lens that measures glucose levels from the tears in your eye. diaTribe covered the first announcement of the project by Google Life Sciences (now called Verily Life Sciences) in 2014. On the bright side, Verily’s efforts to develop this unique sensor spurred Verily’s work with Dexcom – and contributed to the technology used in Dexcom’s continuous glucose monitor (CGM) sensors. While Verily may never produce a glucose-sensing contact lens (which would have been quite the futuristic device), the company took on an extremely challenging project, invested nearly five years of hard work and resources into it, and built some highly advanced technology along the way for other CGMs and sensors.